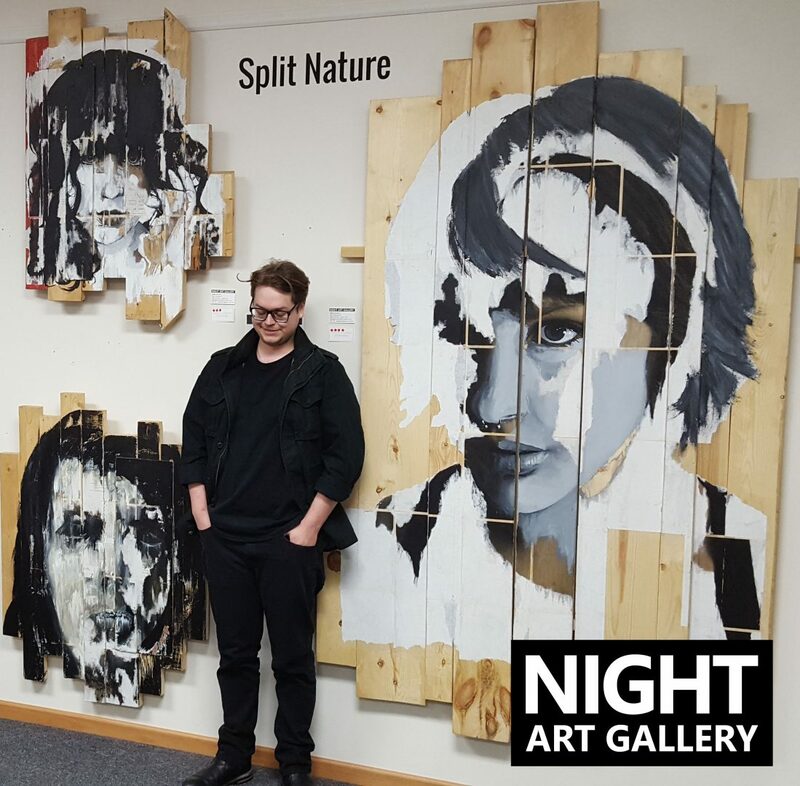 See “Split Nature” by Chase Root featured at Night Art Gallery in Lindstrom, MN, April 9th-14th. $8 Admission. Root uses paint, paper, and photo to create large eye opening and surreal portraits on lumber. His intent is to collaborate with his subjects and to share a unified message to the viewer. Artist Reception – Saturday, April 14th between 8:00pm-10:00pm. Meet Chase Root alongside musical artist “Rancher” providing a dark electronic ambient soundscape.